" This ain't your daddy's flame job! " Mike Lavallee has set the custom paint world on fire with his True Fire effects, rendering dramatic and realistic interpretations of actual fire burning down the surface of motorcycles, automobiles, boats, aircraft, and even small models. 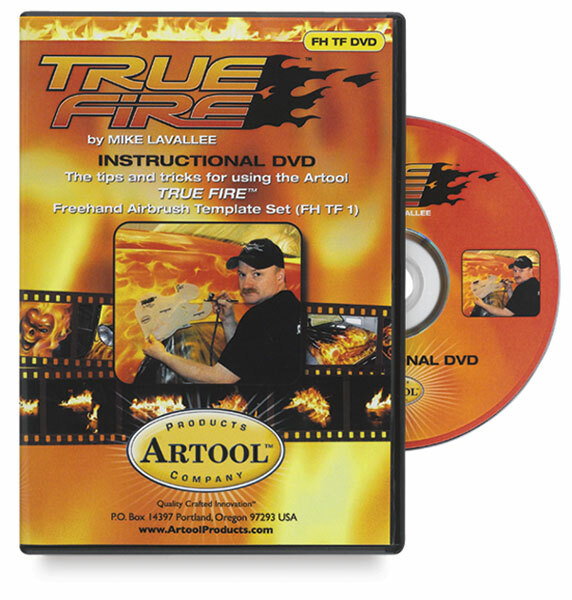 Watch Lavallee create blazing masterpieces as he shares his tips and tricks using the Artool True Fire Freehand Airbrush Template set. ®Artool is a registered trademark.® Artool is a registered trademark. True Fire is a registered trademark.